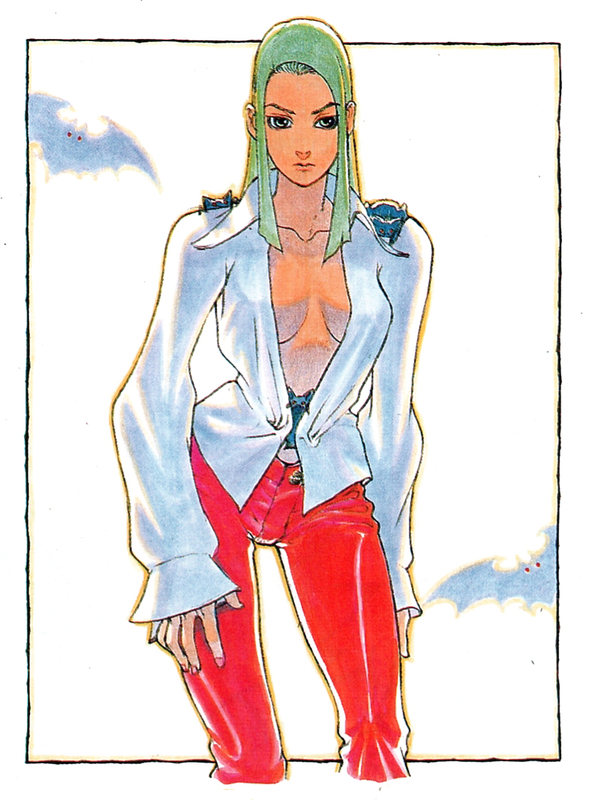 Vampire ~ The Night Warriors / Mook Character portrait / Morrigan / Daigo Ikeno / 1994. 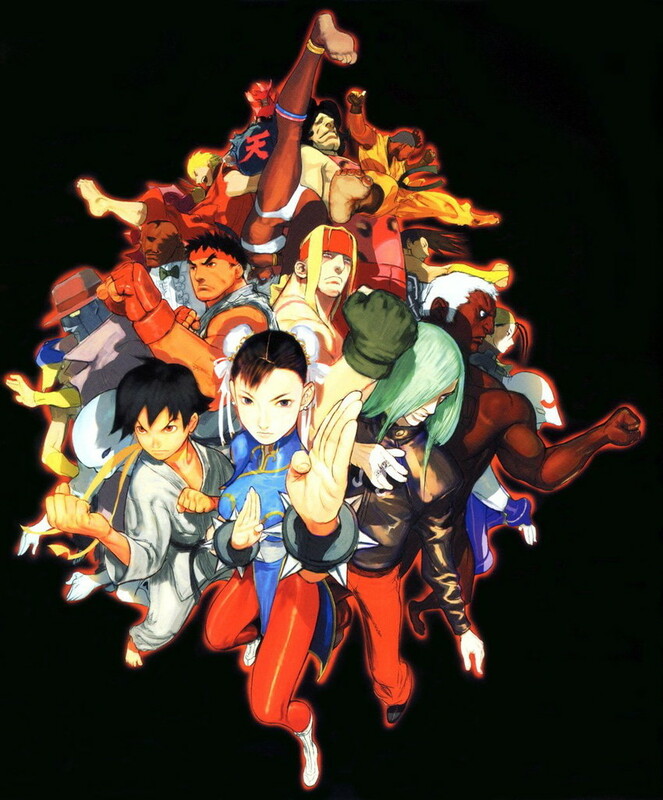 Street Fighter III Third Strike / [DC ver.] 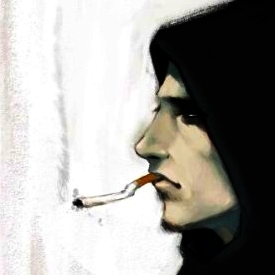 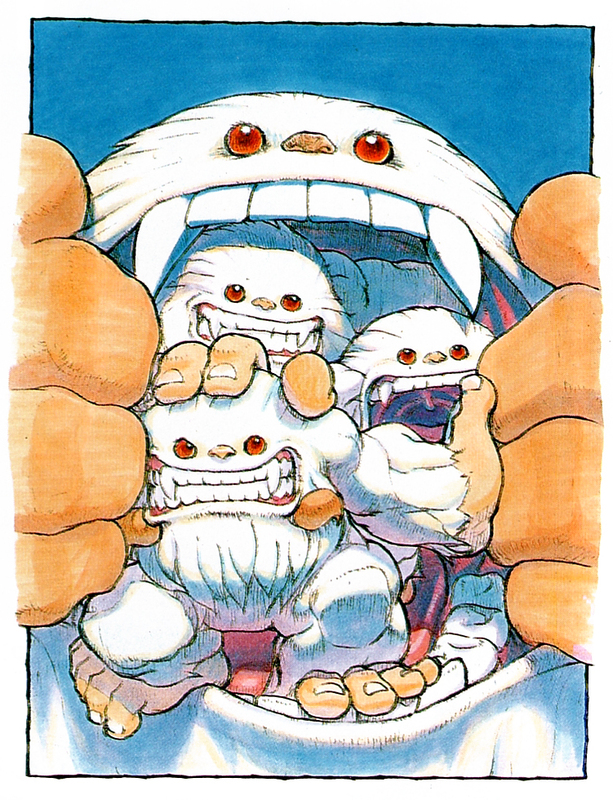 Promotional Art ~ Main illustration / Daigo Ikeno / 2000. 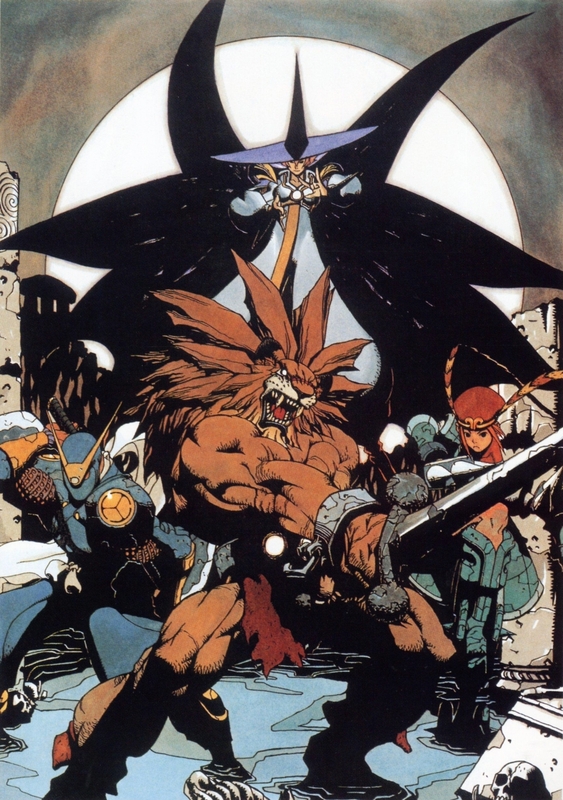 Vampire ~The Night Warriors~ / Mook portrait / Sasquatch by Daigo Ikeno / 1994. 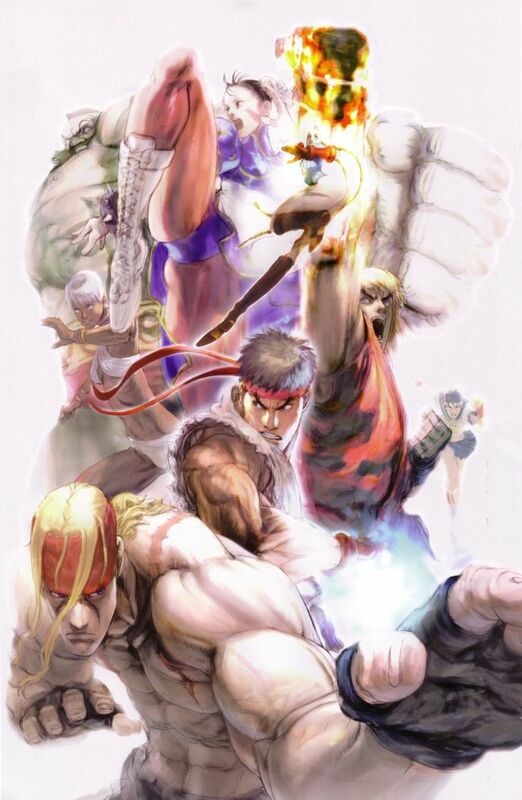 Street Fighter series characters compostion feat Alex X Ryu X Ken X Sakura X Elena X Cammy X Chun-Li X Zangief / 'Eternal Challenge' art & data book hardcover / Comic-Con limited edition (500 pcs) / Daigo Ikeno / 2005. 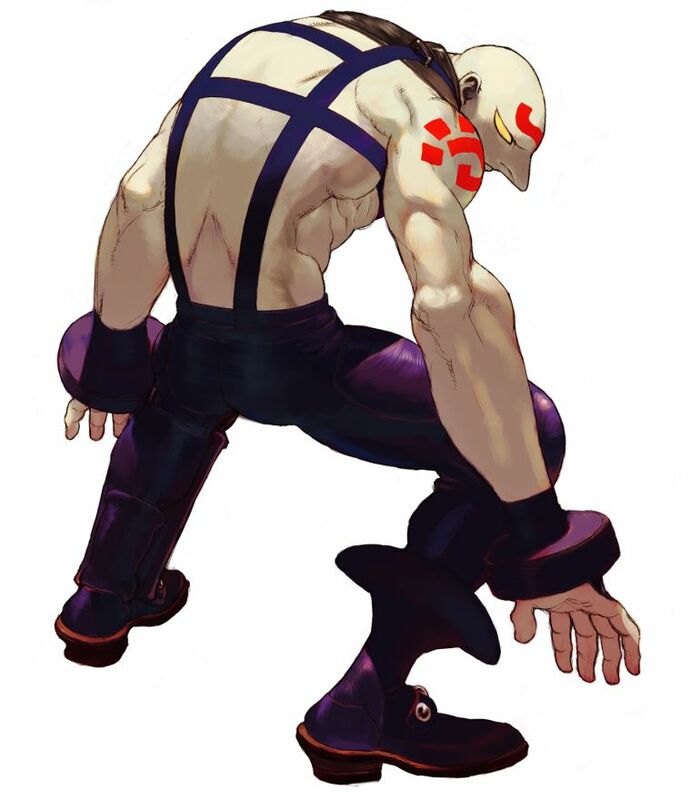 Necro / Street Fighter 3 Third Strike / Daigo Ikeno / 1999. 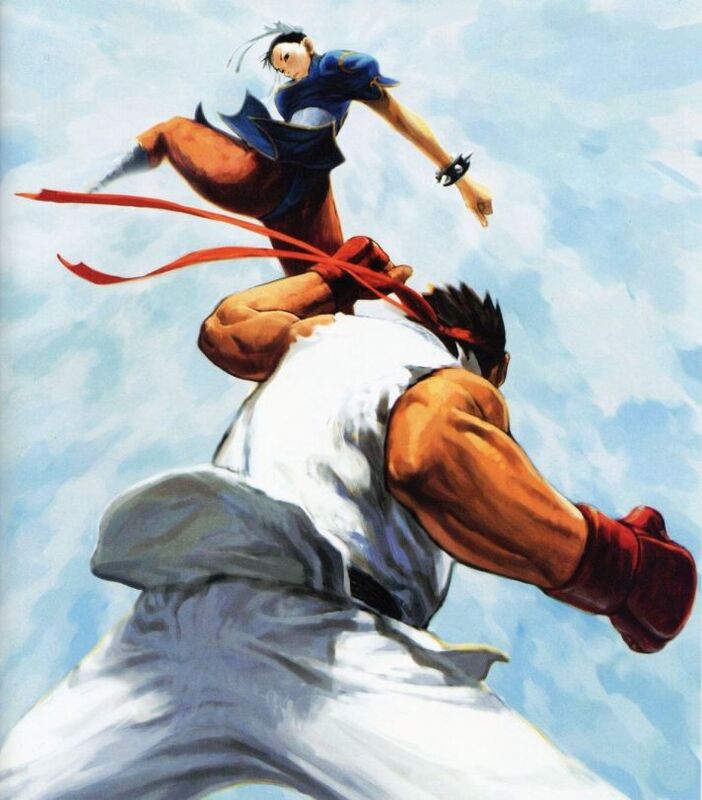 Ryu X Chun-Li by Daigo Ikeno / EX3 Work.